Rodney Harmon and Zina Garrison will lead the American men’s and women’s tennis teams in Beijing. 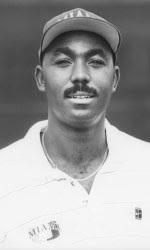 Harmon has been the director of men's tennis for the USTA's player development program since 2002. "It's a tremendous honour and a great opportunity to work with some of the best players in the world at one of the greatest events in the world," said Harmon. “We have the nucleus of a very competitive international men’s team who will all be medal contenders in Beijing. I know the American men will relish the opportunity to compete on one of the biggest stages in sport.” Jay Berger has been chosen as Harmon's assistant. Davis Cup regulars James Blake and twins Bob and Mike Bryan figure to be top choices for Harmon's Olympic roster. The U.S. tennis teams for Beijing will be based on the rankings of June 9, the day after the French Open ends. In 2004, the American contingent came away with one medal, Mardy Fish's silver in men's singles. 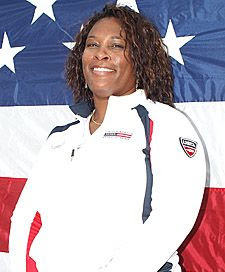 The USTA has also announced that Fed Cup captain Zina Garrison will be the women's Olympic tennis coach and Lori McNeil her assistant. Garrison won a gold medal and a bronze medal as a player at the 1988 Olympics, and coached the US women in 2004. The 2008 US Olympic tennis team will consist of up to six men and six women, with a maximum of four men and four women competing in the singles competition and a maximum of two men’s and two women’s teams competing in doubles. Olympic team selections will made by June 23.